Polvarth Cottage is traditional double fronted house situated in the centre of St Mawes, with lovely harbour, sea views and WI-FI. Only a few seconds walk from the sea front. St Mawes has an excellent range of facilities including post office, Co-op store, butcher, baker, chemist, pubs and restaurants. 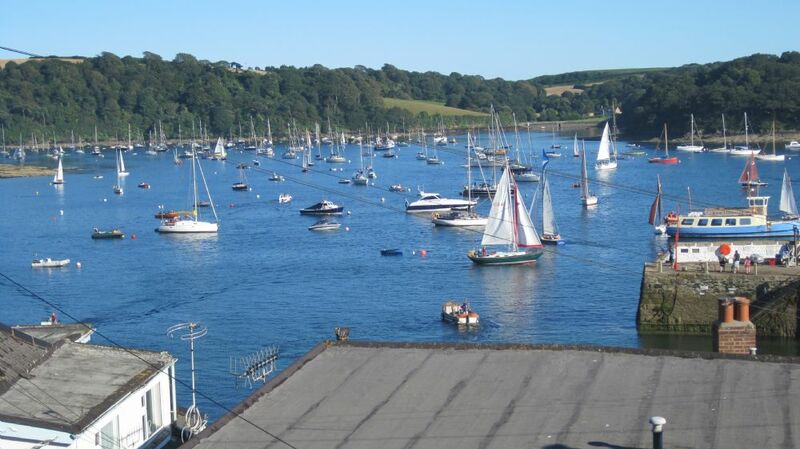 Foot ferries run from the nearby quay to Place, Falmouth and Truro (tides permitting). Also there are lovely coastal walks nearby. St Mawes is blessed with three beaches with canoe and fishing boat hire available. At the front entrance next to the porch there is a seating area which enables you to take advantage of the sea views. This is a reversed accommodation cottage enable the holiday maker to take advantage of the elevated views. A front porch leads into the hall off which are two bedrooms. The master bedroom with double bed and bedroom furniture, leading to a large en-suite with over bath shower, WC and wash hand basin. The second bedroom has twin beds, wardrobe and chest of drawers. At the end of the hall is the family bathroom with over bath shower, WC and hand basin. This room also includes a washer/dryer and cupboard. Stairs lead up to the lounge, dining room, kitchen and third bedroom. The lounge has ample seating and a feature fireplace with electric fire, TV, DVD and occasional tables. The front window has super sea and harbour views. The dining room with round dining table and lovely dresser with ample crockery, a small TV, Wi-Fi, telephone and further views of the harbour and boat moorings. A door leads from the dining room through to the kitchen with electric oven and ceramic hob, fridge freezer, dishwasher and plenty of cupboard space. The third bedroom has twin beds and a door that leads on to steps up to an elevated terrace (please take care with the steps and terracing in this outside area). The terrace at the back has garden furniture enabling you to enjoy the elevated views. The cottage is well equipped with travel cot, highchair and stair gate. WI-FI is also available at this cottage. Night storage heaters provides the heating at Polvarth Cottage. Parking is available in the main car park that is a couple of minutes walk away. For enquiries about this property (or any other enquiries) please fill in the form below. Please select Mr Mrs Miss Ms Dr. Prof. Sorry prices are not currently available for these dates please call us.